A University Affiliated Research Center (UARC) is a strategic United States Department of Defense (DoD) research center associated with a university. UARCs were formally established in May 1996 to ensure that essential engineering and technology capabilities of particular importance to the DoD are maintained. 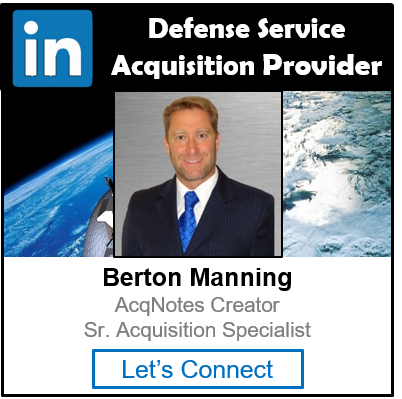 These not-for-profit organizations maintain essential research, development and engineering “core” capabilities; maintain long-term strategic relationships with their DoD sponsors; and operate in the public interest, free from real or perceived conflicts of interest. Collaboration with the educational and research resources available at their universities enhances each UARC’s ability to meet the needs of their sponsors. Pennsylvania State University Applied Research Laboratory (ARL) ARL serves as a university center of excellence in Defense science and technologies, with a focus in naval missions and related areas. It maintains a long-term strategic relationship with the Navy and provides support for the other services. ARL provides science and technology for national security, economic competitiveness and quality of life through: Education Scientific Discovery Technology Demonstration Transition to Application. University of Hawaii at Manoa Applied Research Laboratory (ARL) ARL serves as a research center of excellence for critical Navy and national defense science, technology and engineering with a focus in naval missions and related areas. ARL conducts research for the Navy, the Department of Defense and other Government agencies.ARL research areas are; Oceanography and environmental research, astronomical research, advanced electro optical systems, laser, lidar and remote sensing detection systems, and research in various engineering programs to support sensors, communications, and information technology. University of Texas at Austin Applied Research Laboratories (ARL) ARL’s research programs consist entirely of sponsored projects, with the bulk of the sponsorship by the Navy and Department of Defense. ARL has research programs in applications of acoustics, electromagnetics, and information technology. University of Southern California Institute for Creative Technologies (ICT) ICT collaborats with the entertainment industry and is a leader in producing virtual humans, computer training simulations and immersive experiences for decision-making, cultural awareness, leadership and health. Georgia Institute of Technology Georgia Tech Research Institute (GTRI) GTRI’s research spans a variety of disciplines, including national defense, homeland security, public health, education, mobile and wireless technologies, and economic development. Massachusetts Institute of Technology Institute for Soldier Nanotechnologies(ISN) Fundamental science and engineering research is the centerpiece of the ISN mission. Designing the soldier system of the future is a formidable task that requires a range of experts, from chemists to mechanical engineers. ISN research is divided into three broad capability areas that cross disciplinary boundaries: protection; injury intervention and remediation; and human performance improvement. College Park Center for Advanced Study of Language (CASL) CASL is the national laboratory for advanced research and development on language and national security. CASL Studies the following areas of knowledge: 1. Second Language Acquisition (SLA) 2. Technology Use 3. Performance & Analysis 4. Less Commonly Taught Languages and Cultures 5. Cognitive Neuroscience.